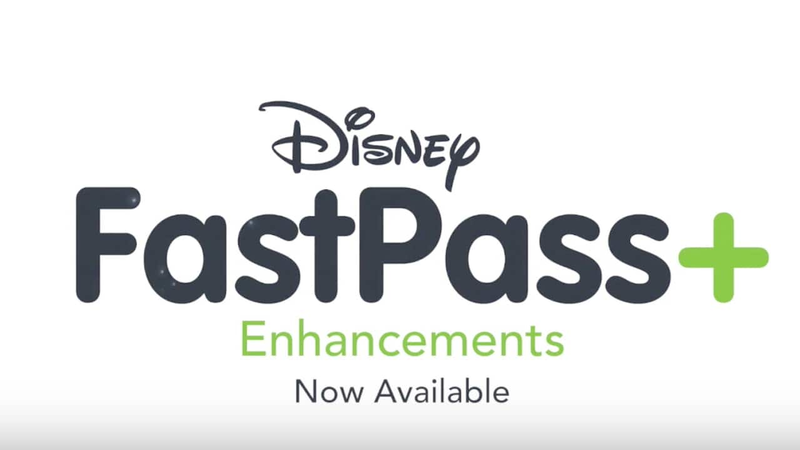 Since launching FastPass+, millions of guests have been able to reserve access to their favorite Walt Disney World experiences in advance, allowing families to begin the Disney fun before they even leave home. And now you will have even more opportunities to customize how you make FastPass+ selections — even while exploring and enjoying the parks. We are committed to helping all our guests further customize their experience and making it even easier to create unforgettable memories with their families and friends. We appreciate the guest feedback that enables us to continue to enhance our offerings. I would love to be able to book the Fast Passes at different parks during the same day. 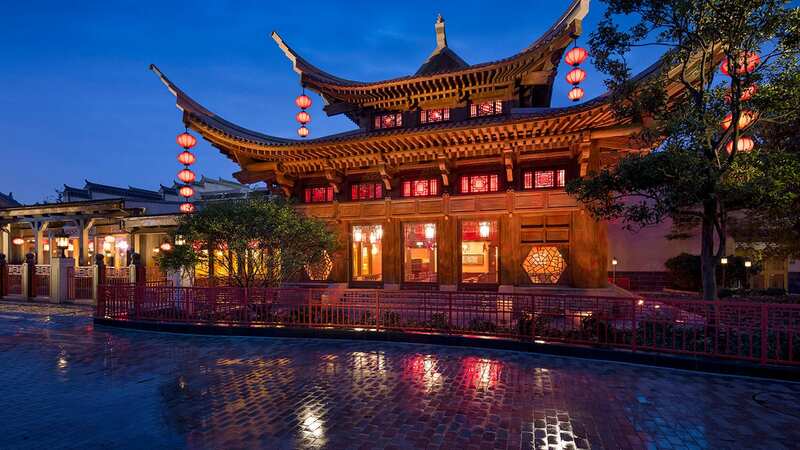 For example, we sometimes start out in Epcot and then head to the Magic Kingdom in the evening. I would be great to take the three fast passes and book them where needed- a morning fast pass in EPCOT and then two in the magic kingdom or some variation of this. Also, if you know that you are going to miss the time slot for a fast pass, it would be great to be able to cancel that one, freeing it up for other people and then rebook a fast past at a later time–all on the mobile app. Thank you for the changes you are making so far to improve. I am an annual pass holder and recently used the new program and after the 3rd ride went in to book another and scrolled down to Mine Train and to my SURPRISE I and my daughter were able to get on! After a year of trying due to last minute visits I couldn’t believe my eyes when I saw a time available. By far one of the most difficult rides to get on and I finally did. Seems that the system is recognizing availability very fast. Keep it up Disney, your heading in the right direction. More perks for us AP’s please, you can count on us we want to count on you! Lyann, one way to avoid an hour wait is to go to the first fast pass near the very end of the hour window and by the time you’re done, the second fast pass window will have started. Also, once you’ve made your fast passes, you can modify them on line through My Disney Experience. We do it all the time so we our times are closer together. I really hate that I can’t select two fast passes with any overlap whatsoever. We used to love booking little mermaid followed by a visit to Ariel or to do the barnstormer right after Dumbo, but now we must wait an hour between rides. I have to spend my time stuck in an area for an hour just to kill time. Often in the past, I would have to book three fast-passes when I only had intentions of using one. This is great. One just has to be patient when something new comes along, so it can get up and running one phase at a time. And as problems are identified they can be fixed. We thought the old system was okay and held our thoughts on the new + system until we used it a couple of times, and now we love it. And we don’t feel tied into having to have everything planned. We make it work for us. Sometimes that means that we end up canceling or not using a pass if we decide to hop parks. And that is fine. The magic is their if you just look for it! They need to reserve some fastpass for the annual passholders on the more popular rides like ToyStory. I logged in at midnight on the 30th day out and the earliest available pass was 5:30pm. The guests staying on property can reserve up to 60 days out where passholders only get 30. Your mobile design team has done an OUTSTANDING job with this new update! I can only imagine the time and energy they put into this update and into all its details. Kudos to them!!! This is amazing! While these are all welcome changes, something still needs to be done to make the FP system work better for guests with park hopper passes. It would be great if AP holders and PH guests were able to book FP’s at multiple parks each day of the trip. Thank you for making these changes!! This is great news. I’m planning a trip with my family in July 2017 and this will make the planning a lot easier. Will you be able to still copy a set of fastpasses fairly easily as you used to, or will that be much more difficult now to copy the most popular fastpasses due to popularity by having it search for availability all over again? I think this is awesome! This will be so much easier than going to find a kiosk to make an additional FP selection. Great addition to the app. I also agree with others who have said that if you have a hopper pass you should be able to spread your FP selections. I have used the hopper for the past three years and that would be awesome if we could spread our FP selections because I never use all three in AK. Just a thought but thanks for making it easier in getting the additional FP selection. I’m glad I don’t have to take three when I only wanted one. But I wish the competition was fair for Seven Dwarfs Mine Train. Being a local, I have Seasonal Passes and just go from my house when I want to go to a park. I don’t always know when that will be in advance, and I can only get mine 30 days out. My friends make FastPass+ selections to have just in case they go. I liked the old system where we were all on a level playing field for FastPasses. I agree with Ryan Savaiano that guests with park hoppers should be allowed to make their selections for more than 1 park in a day, especially when it comes to headliner attractions. Thanks for the other changes, though… and please keep improving! The ability to make a 4th fastpass on my phone after using the first 3 especially at a different park is a welcome start. In reality,by the time you have used the first 3,there is not really much left to choose from and certainly not any e-ticket rides. I would also like to see the ability to use the initial 3 at multiple parks. The only other positive I have is the new system is great if you are booking for multiple people in a group wanting to split up and ride different rides. Just a cautionary note to anyone getting ready to make new fastpasses….make sure you have at least double the time that you previously needed and have pen and paper. You have to select each attraction and confirm. then you can continue on the same day, reselect your party again, select time frame and then click on a time. Your other times are not displayed so if you don’t write it down you can run into problem with overlapping times and it will take even longer as instead of confirming it will tell you it overlaps and ask if you want to cancel the other one……So essentially now to make 3 fastpasses you have to go through the whole process 3 times. The only step you skip on #2 and #3 is selecting the park. It is a really lengthy process. You would think they would be shooting to streamline it and make it more efficient not less. Yeah! Heard a rumor about this and was hoping it was true. This will be my first trip to DW since the Fastpass + was implemented and this will make it just that much easier! Thanks so much for listening to guest feedback and making this change. Does this mean that after using 3 FP+ in one park I can make an additional FP+ in another park without having to go there first? That’s awesome! Disney Parks deserves kudos for this system! Really love being able to do this in advance and definitely adds extra magic to our park visits. Thanks pals!! ??????? The way I understand it Christina is that your first FP must be at one park, you can’t choose at 60 days out to make FP+ selections at more than one park. However, AFTER you’ve used your initial selections, then you’re welcome to park hop with the additional FP+ selections. This is the way it’s worked in the past, just now you can make them in the app instead of having to get to the park where you want to make them, then stand in line at a Kiosk to make them…………. Guests who buy hopper passes shouldn’t be held to making all three Fastpass selections within a single park. They should be able to spread them across multiple parks since they will likely visit multiple parks in a single day. Will we be able to make our initial 3 FP selections at more than one park? For example, make our first two at Epcot for the first half of the day and then park hop to Hollywood Studios where we have a 3rd FP?